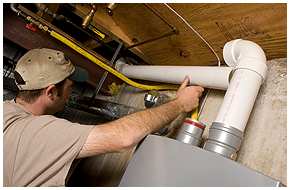 Our HVAC technicians can pinpoint any issue and service any make or model of heating equipment. Our main focus is on helping our customer keep energy efficiency high and costs low, so we treat each repair on a case-by-case basis based on what best suits our customer. Imagine it’s the middle of January at 2:00 am, the temperature is 30 degrees, and your heater stops functioning. This can be of great concern for your Business and family, especially if you have someone who is ill or small children in the home. That’s why Ark A/C and Electrical offers services 24 hours a day—even on holidays—to get your system up and running again. We put your family first and arrive on scene with a fully stocked repair vehicle to avoid interruptions in service. We also offer competitive pricing and maintenance tips so you can keep major emergencies from happening in the first place. These problems often result in costly repairs or replacements. Call Ark A/C and Electrical to detect the problem before it turns into something bigger. Our heating maintenance experts can quickly check every part of your heating system and catch any potential issues. Once found, these problems can easily be repaired for a reasonable price.